Looking back, I wrote this article over two years ago at the beginning of the 2014 tournament season. At that time, we were preparing to host our very own tournament, which turned out to be a great success that brought over 600 competitors and their families into our community. Now, this seems more relevant than ever as we prepare for two tournaments in two months. 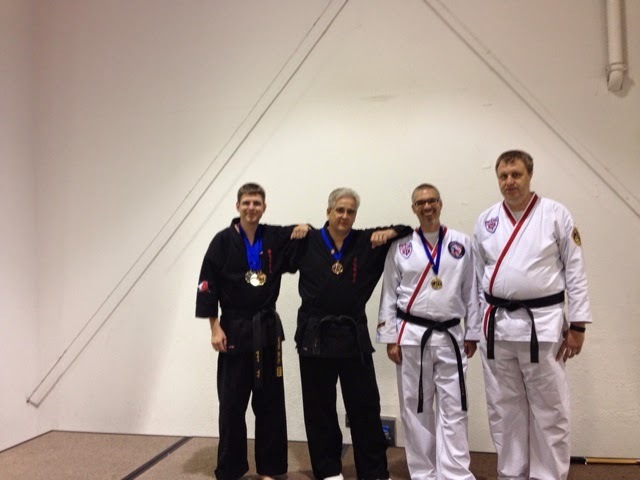 Nobody is ever required to compete at Sulphur Springs ATA Martial Arts. In this article we explain the reasons why we believe that tournament participation helps a martial artist train and become better at their craft. 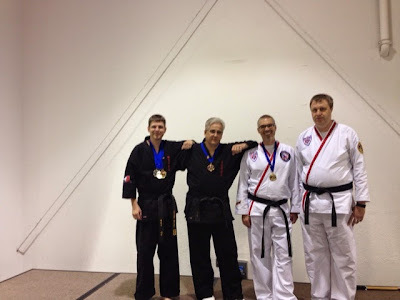 As we approach this tournament season, I hear the question, “why should I go to a tournament?” As an instructor, I see the benefits of competition far outweigh any negatives, but it’s sometimes very hard to get past those thoughts. Here is a list of the five reasons students should go and compete. 1. Competition shows you can use what you have learned. Imagine practicing every day of baseball season. You work so hard for months, but when the first game comes up, you tell the coach “no thanks. I’ll sit on the bench.” Then repeat this for the entire season. Have you actually learned how to play baseball? 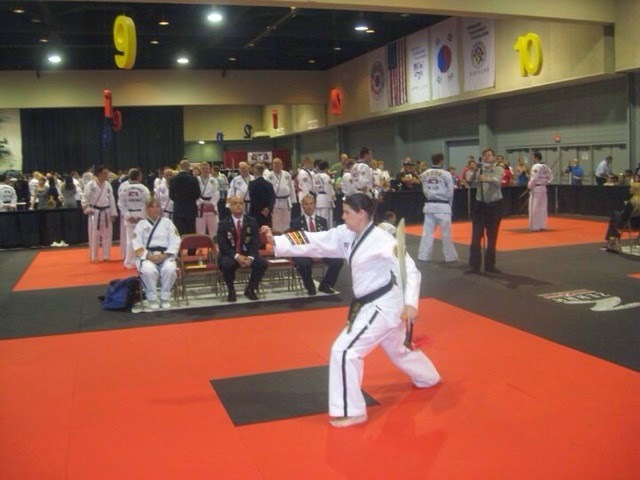 Competitions allow us to see how our martial arts is progressing and how we stack up against others. They allow us to use those techniques that we have spent hours trying to perfect in a real life situation. 2. 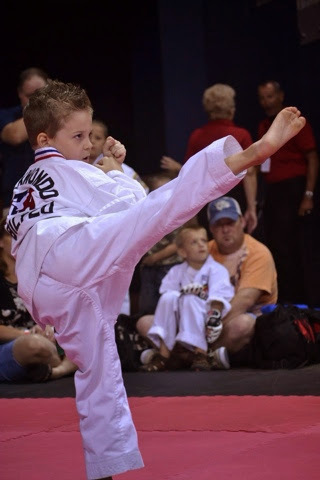 Competitions help us to learn and grow as martial artists. After each phase of competition, you can step back and find what you are good at and what you need to work on to improve. Did you get a great score from the hand judge but a low one from the foot judge? That tells you that you have room to improve on your kicks and stances. Maybe you fell for the same kick three times in your sparring matches. Now you have the opportunity to come back to the school and have a training partner throw the sme kick at you in practice. This way, you improve because of what you learned. Even if you win 1st place in every event, you can find some area for improvement. 3. Your fellow competitors become lifelong friends. 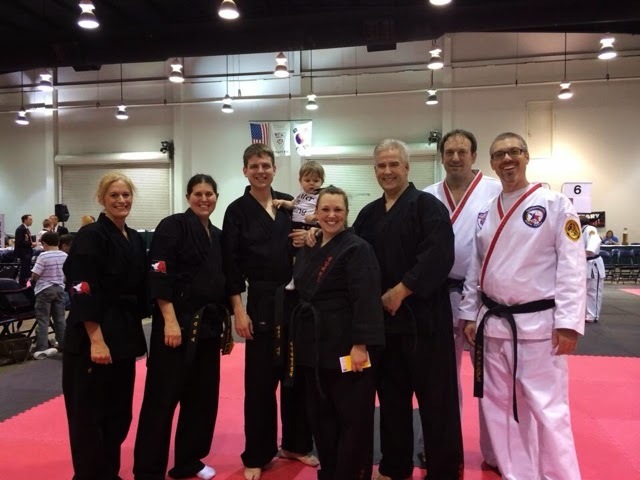 A tournament many times turn in to a sort of a family reunion. The higher in rank you get, you begin to see the same faces each time you compete. These people quickly become your friends. You will learn to look forward to seeing your friends at each tournament. Many times, we have seen students stay with their competition, travel together, and stay in touch through Facebook long after the tournament is over. 4. You go to learn from others. When you come to class, most times you end up sparring the same few people every time. You learn their strengths, their weaknesses, and how to strategize only against them. Going to tournaments allows you to spar people you have never met before, creating a new and fun challenge. 5. Tournaments help you overcome your fears. Martial arts training is all about learning control in the midst of chaos. Anyone who goes to a tournament knows that nervous feeling when the judge says to begin. Your heart starts racing. Your mouth gets dry. This is the effect of adrenaline in your system. The first time is ways the hardest, but you will learn how to control those fears and perform to your very best. Each time after that will become easier until you are an expert at competing. You will begin to look forward to that feeling of excitement when you are called to do your form, or to spar someone new. I hope that it is very clear that in these benefits I never mentioned anything such as medals, trophies, or Championships. Those things are wonderful, and we are proud of each champion we have in our school. But championships are available only to a few people each year. The personal benefits of competition are available to everyone whether you sweep the medals or finish last in every event. We look forward to this competition year. Be sure to sign up at the desk for the next tournament. Go to www.sulphurspringsata.flywheelsites.com to learn more.